I knew my college gave us free access to lynda.com, but I never used it at all. 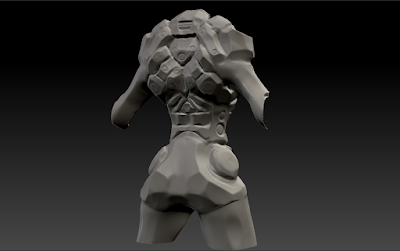 So I decided to browse it and see if there was anything I could learn from zBrush. There was actually a couple of interesting lessons by Ryan Kittleson. One of the powerful things I picked up was actually how effective the Clay brush is for making circles. 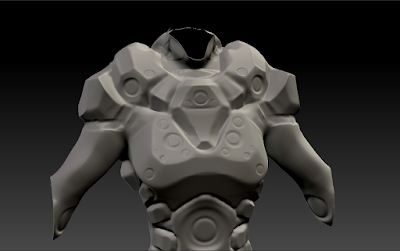 Something I did with this that I haven't done before: I completely reworked the chest region. 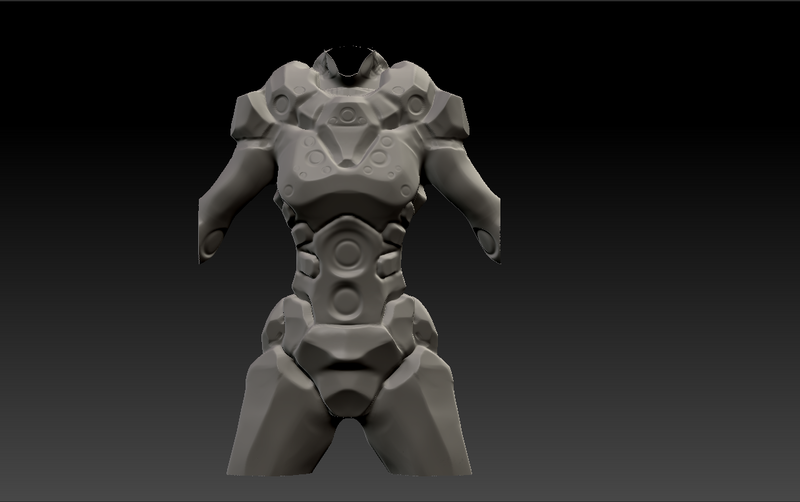 In Ryans videos, he said that you should try and do iterations of design until you are happy.